Fats are one of the three main macronutrients along with carbohydrates and protein. They are an essential part of a healthy eating plan. However in recent times the role of fats and their health benefits have been the subject of debate. In fact in some instances the reputation of fats have been maligned. Are fats bad for you? Are all fats equal in the health benefits they offer? 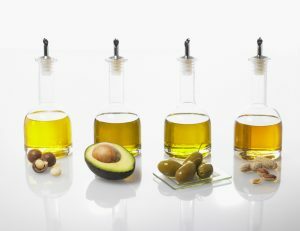 And if all fats are not equal, how do you know which fats to include, limit or avoid? For answers to these questions, read on. Role of fats in body? The Australian Dietary Guidelines recommend that fats should represent 20-35% of your total energy intake. Research confirms fats have potential to play a contributory role in a number of health issues and diseases including obesity and heart disease. High level of fat intake has also been traditionally seen as a key contributor to raising blood cholesterol. However, the role of fats and health issues or diseases is not black and white. Put simply not all fats are equal in their nutrient profile and hence their health benefits. It means your choice of which fats to include in your daily diet, as well as the amount you include, will shape and influence the health outcomes you get from including fats. What you need to know is there are fats to include, fats to limit and fats to avoid. Trans-fats are created when unsaturated fats are solidified through a process called “hydrogenation”. This process is employed to increase the shelf life of foods, as well as allow for repeated reheating of oils during the manufacturing process. Saturated fats are those that are solid at room temperature. Including small, limited amounts of saturated fats in your eating plan will help minimize potential health risks that arise when you include excessive amounts. Aim to include fats through eating foods that contain them (not from vitamin supplements). I hope this has provided you with the fundamentals of what you need to know about including, limiting or avoiding fats. If you would like to find out more about fats or other key nutrients or discuss healthy eating and building sustainable health and wellbeing, please click here to make contact . What is SIBO? A relatively new GUT (gastrointestinal) issue that many more appear to be experiencing? What are the symptoms, how do you know you are at risk, and how do you redress. For answers to these and other key questions you need answers to, read on. Link between BMI and cancer? Is there is a link between BMI and cancer? We know obesity has a link to high blood pressure, blood sugar issues and heart problems. We know obesity has the potential to undermine our health. A recent study has highlighted the link between cancer and BMI. To understand more read on. Nourish your health …. or genes? Nourish your health … or should it be nourish your genes. I am sure you know nutrition and lifestyle choices impact the quality of health. However did you know that nutrition and lifestyle choices can influence your health through your genes? Enter stage left a new term, nutrigenomics. An important new area of study that will be instrumental in helping us uncover new strategies for preventing or treating disease. I cannot emphasise enough the importance of healthy eating and living. Your body runs 24hrs a day, 365 days a year. Even when you are asleep, your body is hard at work repairing, maintaining and growing. Its objective is to achieve, maintain or re-establish balance, what the science of nutrition refers to as homeostasis.